Bio Notes: John Gordon was born in Paisley in 1835, the son of John Gordon, a wine merchant's agent, and his wife Jessie Young. In 1853 he was in the office of Black & Salmon as an articled apprentice, but when that partnership was dissolved he remained with James Salmon as principal assistant. Subsequently he moved to the office of William Spence where he worked in the same capacity until he set up practice on his own account some time prior to 1857 when he designed Grove Park Mills. In his earlier years Gordon was strongly influenced by Alexander Thomson's Romanesque church school and villa designs which he perhaps knew at first hand from Thomson's office. His large commercial buildings in West Nile Street and Renfield Street of 1876 show the influence of Thomson's neo-Greek commercial architecture but the giant Wool Exchange in Basinghall Street, London, his largest project, was elaborately Romanesque with Byzantine touches, a style also adopted at 28-32 St Enoch Square as originally built. His practice was otherwise predominantly industrial. Gordon married Catherine (Kate) Isabella Graham on 18 January 1870. They went on to have at least five children. In 'Building Industries' 17 December 1917 (re: alterations to the Alexandra Hotel) Thomas Baird who had been an apprentice 1876-81 was described as having been with the practice for twenty-five years, presumably largely as a partner, though his name was not included in the practice title. Thomas Baird was the son of his sister Ann. That he was a partner is confirmed by their joint names appearing on the Dean of Guild drawings for Strathbungo Public School of 1893-95 but he must have left by 1903. (Gordon's other sister Jane married the architect James Ritchie). In the latter year one of Gordon's sons, J Graham Gordon, became a partner along with David Woodburn Sturrock as Gordon Son & Sturrock. Sturrock had previously practised independently: born in 1860, he had been articled to David Thomson and had remained with him as an assistant, subsequently spending over five years in Spain, France and Germany before commencing practice on his own account in 1898. Later in the same year, 1903, D Bennet Dobson, a skilful art nouveau designer who had been with the firm since at least 1894, was taken into partnership and his name acknowledged in the practice title as Gordon, Son, Dobson & Sturrock; but that arrangement proved brief, Sturrock withdrawing to continue in independent practice, and the firm became Gordon, Son & Bennet Dobson. Dobson ceased to be a partner in 1907 when he formed the short-lived practice of D Bennet Dobson & Co. The practice continued thereafter as John Gordon & Son, at some point joined by another son, Thomas Baird Gordon, named after Gordon's former chief assistant and partner. 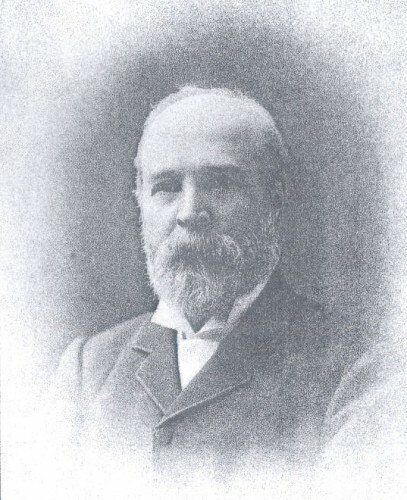 John Gordon finally closed the practice in 1911. He died on 22 August 1912 at Gordonholme, Giffnock, his age given as 77. 1866 J & J McIntyre's Powerloom factory, Bell Street Glasgow Scotland Earlier building--probably by Gordon. Courtesy of Nick Gordon, great great grandson of John Gordon's brother Information supplied to Dictionary Sent February 2016. Mr Gordon has a document relating to the fact that Gordon's father died intestate in 1864 and his estate was valued in 1871. The executors were John Gordon architect, Jane Gordon wife of James Ritchie architect and Ann Gordon wife of Thomas Baird, book keeper.